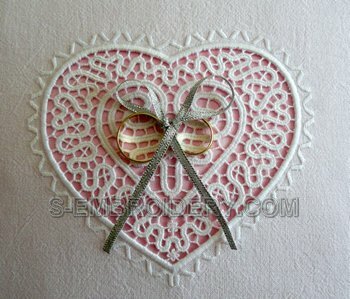 A free standing lace heart machine embroidery design. 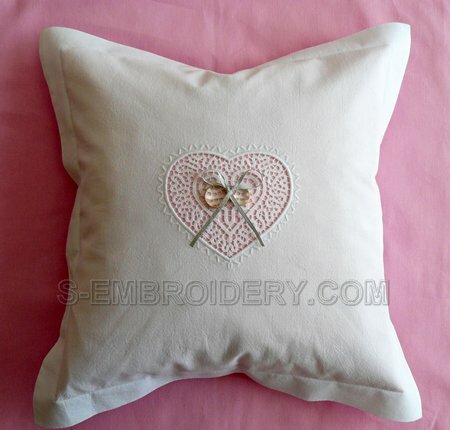 The design comes with instructions for decorating a pillow case. 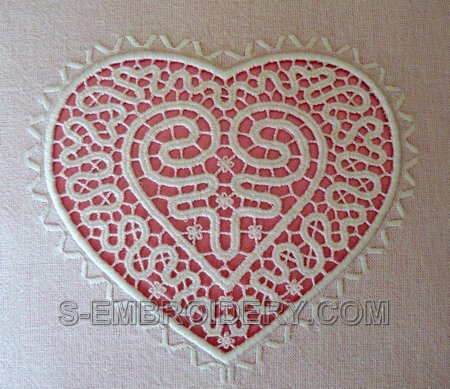 This fine embroidery can be used in various machine embroidery projects. 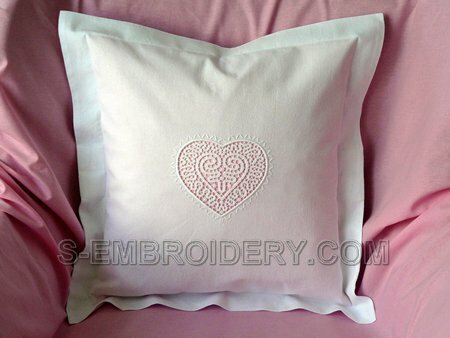 An example of what our customers can do with this design is featured in our Customers' embroidery gallery - a gorgeous Ring Bearer's Pillow.